More Putinweez Kegwerks work! 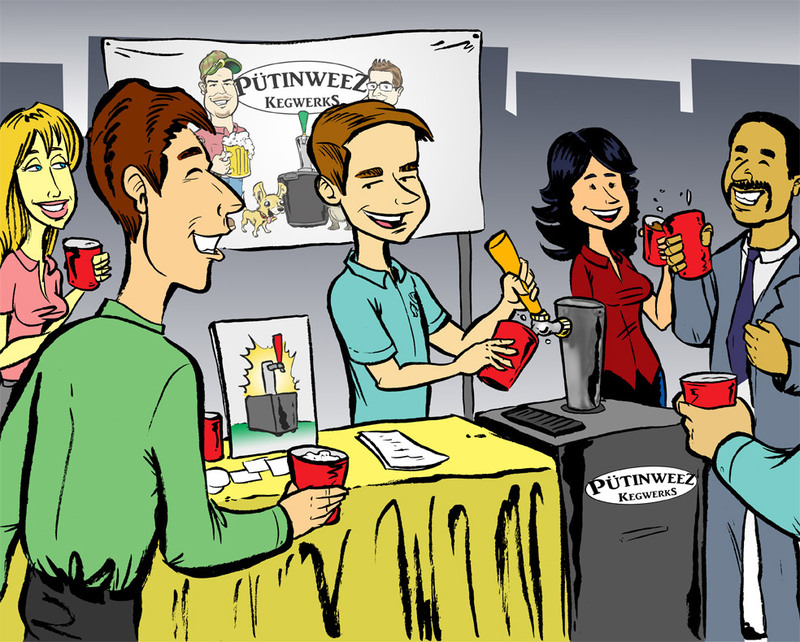 This time they wanted some illustrated scenes for their website, windows into the very ways you can use a new Putinweez Kegerator. I'll post my two favorite here and you can go to their site to see the other two, plus three icons I did. become a beach bum this summer! Yeah, that's a kegerator disguised as a tool box. Oh the possibilities! Been flippin' the site around this last week if ya didn't notice. Playing around with sterile look of the portfolio views for the purpose of making this appear more like my 'Online Portfolio'. Toying with that notion. Maybe I'll make it much smaller and focused and not an ongoing blog.